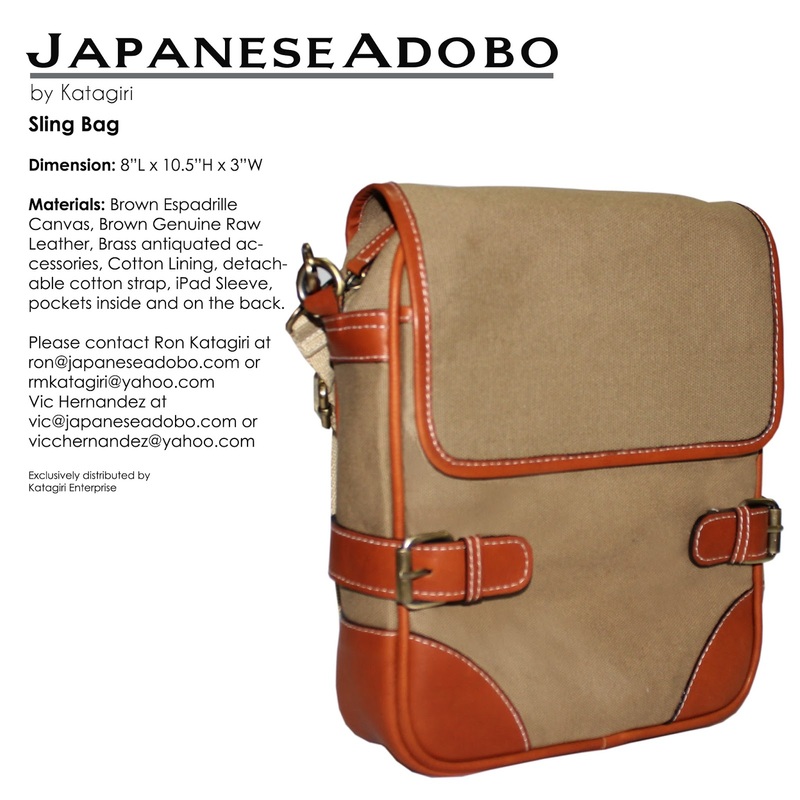 The JapaneseAdobo Sling Bag is created to fit an iPad and other everyday stuff, without having to bring big bags. 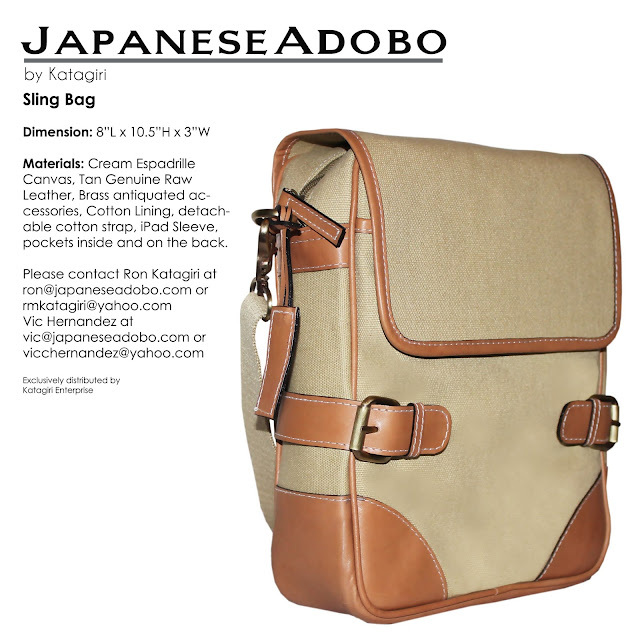 Perfect to use going to the mall, hanging out at a café or just simply going to work. 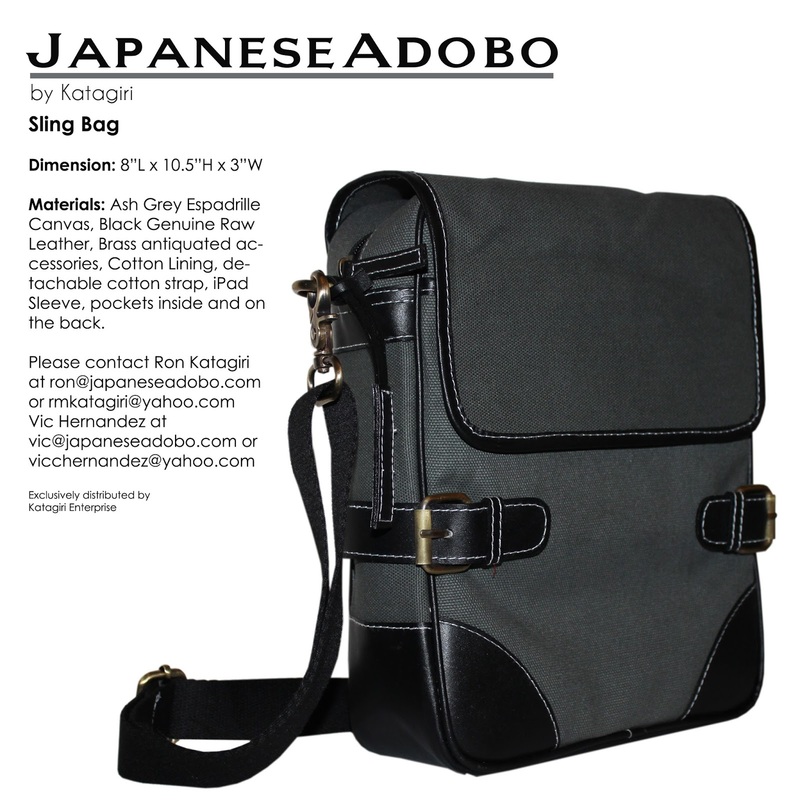 A smaller size that can still fit a lot. 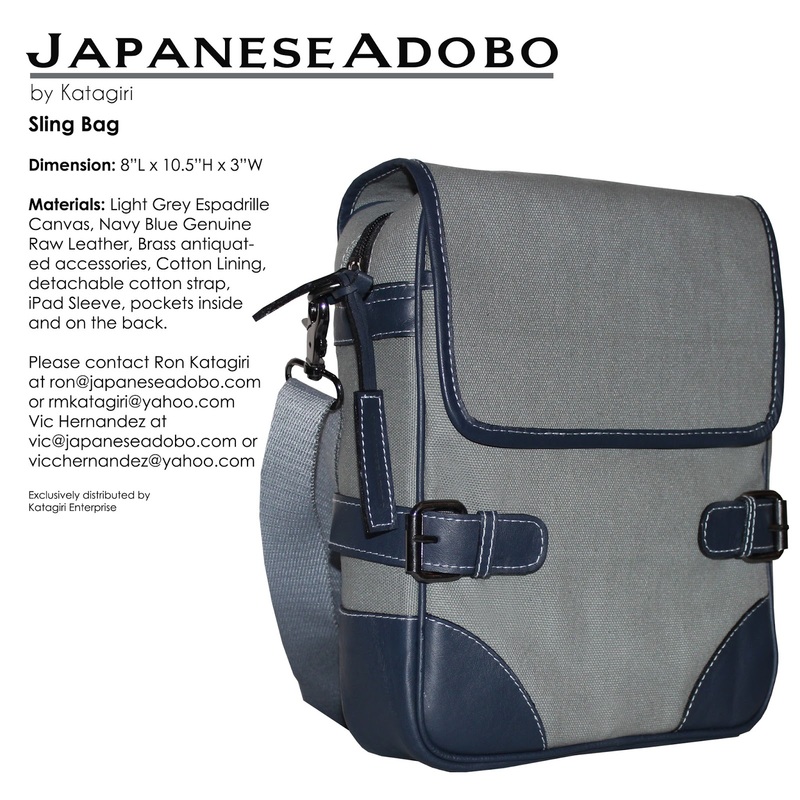 The bag has an iPad sleeve, pockets and compartments inside and on the back.